Zamora - a city in Castilla y Leon, and the capital of the province of Zamora. 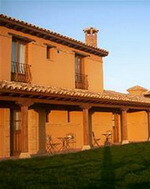 It lies in the northwest, near the frontier with Portugal and crossed by the Duero river. Many very beautiful medieval and Roman buildings, churches and places to visit. The capital of the province of Zamora, the city lies on a rocky hill in the northwest, near the frontier with Portugal and crossed by the Duero river, which is some 50 km/30 mi downstream as it reaches the Portuguese frontier. 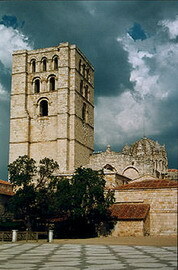 With its 24 Romanesque churches of the twelfth and thirteenth centuries it has been called a "museum of Romanesque art". Zamora is the city with the most Romanesque churches in all of Europe. Zamora has a unique Romanesque monument, with peculiar characteristics which are very difficult to find in other places. The AC Zamora is a stylish hotel situated next to the university campus and new shopping complex and two kilometres from the 11th century cathedral. At the end of the day, guests can enjoy traditional fare in the restaurant, relax in the sauna, with drinks in the bar or order a light meal from the 24-hour room service menu. Those guests feeling energetic can take advantage of the fully-equipped fitness centre. The front desk has a safe-deposit box for string valuables. The hotel offers wireless internet access for guests wishing to surf the web or catch up with emails. With stylish, contemporary decor and furnishings, guestrooms include air conditioning, complimentary bottled water and toiletries, satellite TV, desks, direct-dial phones, hair dryers and Internet connections. 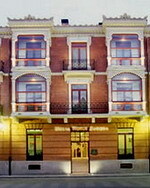 The Melia Horus Zamora Boutique Hotel is located in Zamora, Spain. The Easter Museum is 500 metres away, the cathedral is one kilometre away, and the Natural Park Arribes del Duero is at a 60 kilometre distance. Set in the city centre, the Melia Horus Zamora Boutique Hotel occupies a traditional property featuring an ornate, stucco-moulded facade lined with wrought iron. The hotel opens to a lounge area decorated with rich fabrics and Art Deco-style furnishings and houses a spa area with fitness room, sauna, and spa tub. The concierge is on hand to offer sightseeing assistance, and further amenities include garage parking, room service, and laundry facilities. 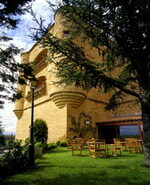 The Melia Horus Zamora Boutique Hotel houses the La Boveda restaurant housed in a rustic-style cellar with arched exposed stone walls, and serving regional and international dishes. Bar Horus offers a range of drinks and cocktails. 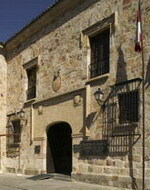 La Casona de Andrea is located in Tiedra, Spain, 18 kilometres from the town of Toro, and 56 kilometres from the city of Valladolid. 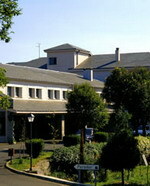 The hotel is located in a country house, set amid fields. The lobby features a wooden-beam ceiling, a fireplace, and plush sofas, and there is also a patio and a picnic area. La Casona de Andrea's restaurant, Los Fogones de mi Madre, has rural decor. Typical Castilian dishes are served, including fish and lamb, and the vegetables served are grown in the hotel's kitchen garden. The hotel also has a bar, and there is a complimentary breakfast served each morning. 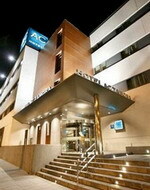 The hotel offers a meeting room for small groups, and has banquet facilities. Horse riding and bicycle rentals are available on site, and there are also activities for children.